Andrew Hoy is thrilled to announce the launch of the Affinity Aviation Group, the company is to be formally unveiled today at the "launch on a launch" event on Lake Geneva. Hoy brings a wealth of experience to the Group and has created Affinity Aviation based on an ethos of clarity, transparency and building a long term relationship with clients. The first step in the launch of Affinity Aviation was when the website went live today to reveal a portfolio of aircraft ready for sale. 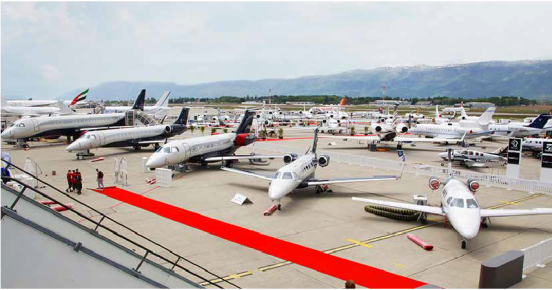 The Affinity Aviation Group will offer a new approach to aircraft sales and acquisitions. The essence of the Affinity approach is to deliver a unique combination of a transparent fixed rate commission structures with a personal and partnering approach. This philosophy is built on Hoy’s deep knowledge of the global business aviation market and a clear understanding of what clients are looking for from their sales agent. Hoy advises "We have the simplest fixed fee structure with no upfront fees and a no sale no fee basis."